Emotional Cello, a fantastic new virtual instrument, recorded and programmed by a new developer team from our hometown Munich, sounding so unbelievable vivid and natural, you would never have thought something like this would be possible … until now. 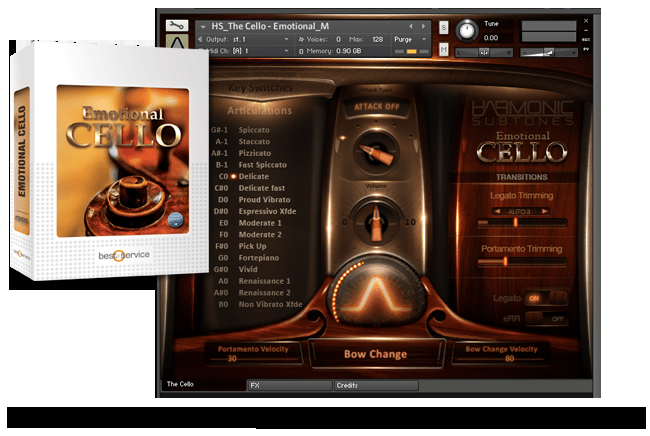 Emotional Cello is a new virtual instrument, created by Harmonic Subtones to be used with Native Instrument’s Kontakt 5 Player. Because of its powerful and simultaneously exceptional emotional sound, it opens up previously unknown verbal dimensions for the work with samples. PlugSound Pro delivers over 8 GB of instruments, loops and phrases. PlugSound Pro includes all of the sounds from the original PlugSound Box with enhanced presets and an entirely new Classical section featuring a wide range of acoustic instruments.